The center of my work with others was born out of the healing waters of relationship…relationship with self, my clients, colleagues, family, and of course, with the Divine. It has been guided and developed into an approach which helps individuals identify their truth. One of the gifts I bring to this work is to provide a safe and sacred space in which to explore the deeper questions of self and spirit. Miriam Ramsey, MA, LPC, has practiced and taught traditional and non-traditional healing methods for over 25 years. 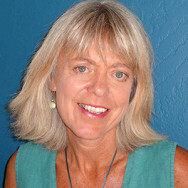 Her professional areas of expertise are creating healthy relationships, healing trauma and psycho-spiritual exploration. Miriam has integrated Brainspotting into her practice almost since its discovery. Using advanced Brainspotting techniques, she skillfully weaves these with mindful psychological modalities, neurobiology, energy healing and meditation to guide her approach to counseling everyday. She is a Certified Imago Relationship Therapist & Workshop Presenter and a Level II EMDR therapist. Miriam is one of the founders of 3 Rivers Center in Bend, OR, where she is currently in private practice. Parents: Don’t PIC on Yourselves! 3Rivers Center for Relationship therapists are all certified in Imago Relationship Therapy, an effective, loving and compassionate approach to bridging the distance between you and your partner. The principles and practices of Imago Therapy, first described by Harville Hendrix, PhD, in his best-seller "Getting the Love You Want,” has touched the lives of over 100,000 people in more than 25 countries. Find out more about Imago Relationship Therapy under "What We Do".